The Crouse Testing Center, part of the hospital’s Surgical Services, assesses all patients scheduled for elective procedures requiring anesthesia and obtains any necessary medical reports and lab work to ensure a safe procedure. Annually, the Crouse Testing Center works with about 20,000 patient undergoing procedures in the Inpatient Surgical Suites, Recovery Care Center, Ambulatory Surgery Centers, Cardiac Catheterization Suite, Interventional Radiology and the Kienzle Family Maternity Center. If you’ll be undergoing a procedure at Crouse, your physician will provide instructions about your pre-procedure testing. The Crouse Testing Center is located in Room 115 on the lower level of the Physicians Office Building, 725 Irving Ave. For more information, call 315-470-2782. 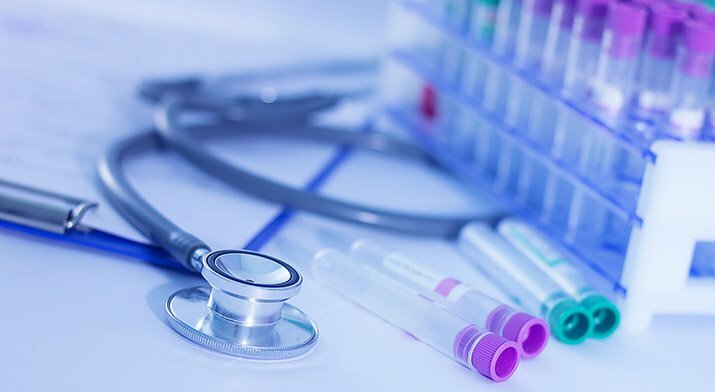 If your physician has directed you to have a routine blood test (not associated with an upcoming surgical procedure at Crouse), you may use the lab services of Internist Associates of Central New York, which is located in the CNY Medical Center, Suite 350 (directly across the street from Crouse Hospital). Hours are 7:30 a.m. to 5:30 p.m. For more information, call 315-701-2535.